At first, the hikers had the ability to climb Huayna Picchu without any restriction, there was no limit on the number of visitors when climbing the mountain, nor did they control the climbing and descending schedules. But due to the increasingly intense demand this has changed. Why is access to the mountain regulated? This unregulated climb to the mountain had a great impact on the trails of the Inca road network, there were also cases where visitors interrupted the excavation and conservation work carried out on the Huayna Picchu mountain. Not counting the security risks, related to having many people going up and down quite steep roads, for sections in which sometimes only one person fits. What is the income limit for Huayna Picchu? A few years ago, Peru’s Ministry of Culture decided to implement a series of measures to regulate climbing activities in Huayna Picchu. Regulations were implemented regulating the number of climbing permits, to 400 revenues per day. Before the climbers could ascend and descend at any time of day, as long as the final ascent was given two hours before the mountain closes. Visitors now ascend in two groups and at set times. 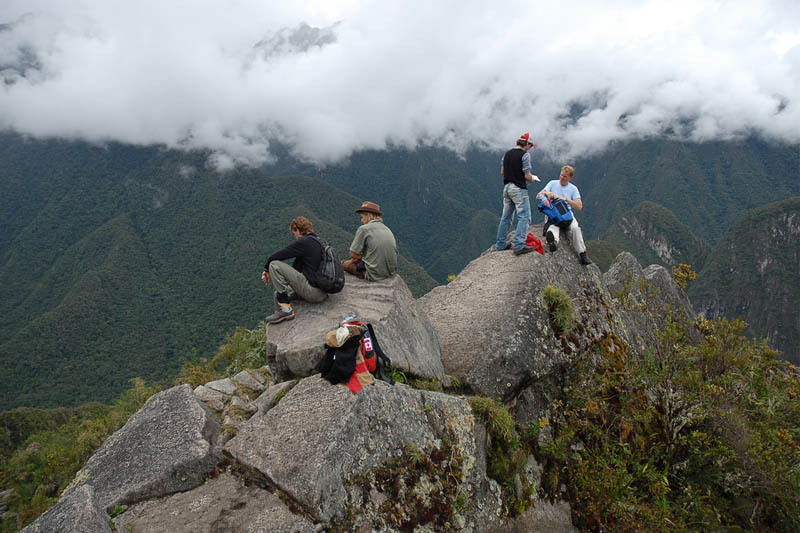 What are the schedules of the groups to Huayna Picchu? At present there are two departure times of the groups, each with 200 permits. It will take you about an hour to ascend, and about 45 minutes to descend. Officially, visitors ascending in the first group must descend from the mountain before 10 am to avoid crossing with climbing climbers in Group 2, however this is very rare, since many hikers take more time to To ascend, in addition to taking the time to stay on top and maximize the view, especially if he ascended in Group 1, where on some occasions the fog of the dawn does not leave the sanctuary until 10 or 11 in the morning. Can I climb Huayna Picchu with children? Children under 12 years old are not allowed to climb Huayna Picchu. Caution should also be exercised with older adults and also if you suffer from a health problem that prevents you from performing the ascent normally. Any person who enters the mountain Huayna Picchu must comply with the current standards of protection established by the Peruvian authorities. Although the regulation specifies that food and disposable containers such as water can not be taken, visitors can be seen eating, resting and drinking without hiding. This, as long as it is given in a framework of respect, without throwing the remains on the ground or hide them between the stones. It should be noted that no one checks visitors at the entrance. It is a question of trust that must be rewarded with respect.